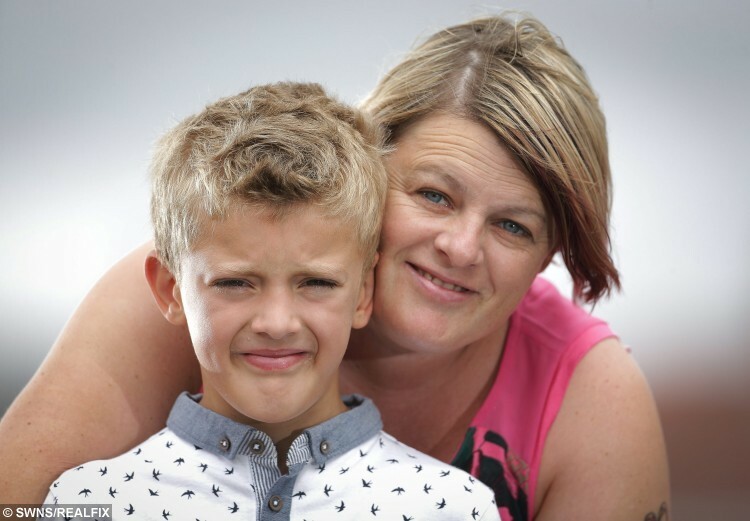 An eight-year-old with autism and ADHD is explaining his behaviour to judgmental onlookers – by creating his own cards explaining his condition. Daniel Booth suffers from both attention deficit hyperactivity disorder and autism, which affect his behaviour when he is out in public. The youngster struggles to deal with change in his routine and quickly becomes upset when he hears onlookers mentioning his behaviour. One day Daniel approached his parents, Graham and Karen, asking them how he could explain to people why he acts as he does. Mum Karen, 36, helped him to come up with idea of creating cards to explain his behaviour and the youngster now hands them out when he feels the need to. His new cards say: “Stop don’t judge me! I’m not naughty or rude. My name is Dan and I am Autistic and I have ADHD. “Life is a challenge and the more people that understand the better it will be. Karen said: “We hope that the cards will raise awareness for other children with the condition. It is hard for children with condition that you cannot see because people judge them without knowing their difficulties. 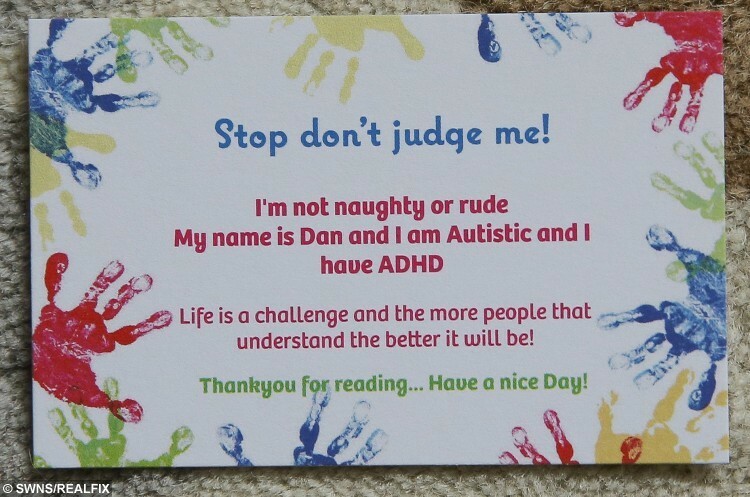 “One day Dan turned to me and said ‘What can I do to tell people why I am shouting?’ He likes to be in control and so we talked about what he could do and we came up with the cards. Karen and Daniel, who designed the cards together, had 100 cards printed at a cost of £10 and have used them on two occasions since getting them printed ten days ago. The family hope the cards will raise awareness and help other people to gain more understanding of ADHD and autism. Karen said: “There was one day when Dan was doing a roly poly in the aisle of Asda and he heard a woman talking to her partner. 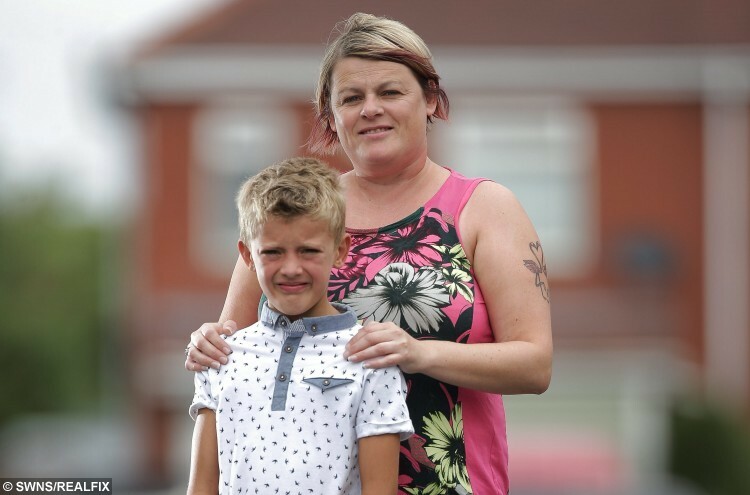 Daniel is currently attending mainstream school but his mum said he struggles when his routine changes and if he has to deal with new teachers. 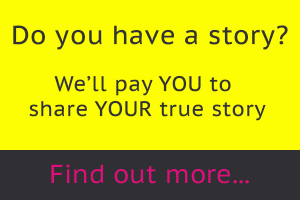 She said: “Dan is very intelligent and is very aware of what is going on around him. The problem is that he struggles to concentrate and because of this his school targets are lower than they should be for his age. Karen said when they sent the card design to Vistaprint ten days ago, the company rang her asking if there had been a mistake. She said: “They rang me and said they didn’t know if the cards were right. They said they are not business cards and were a bit confused.